Some things are just meant to go together: peanut butter and jelly, salt and pepper; bacon and eggs. And at this time of year, it is all about the perfect pairing of turkey and gravy. 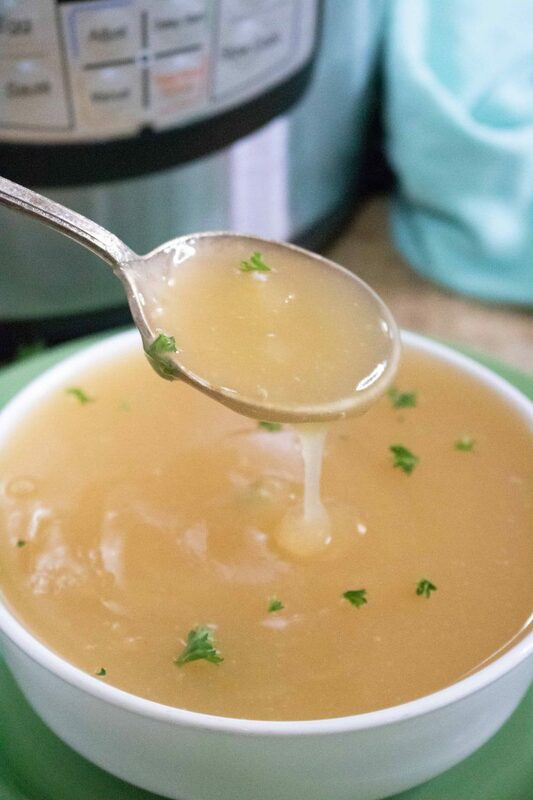 This recipe for Instant Pot Turkey Gravy not only tastes delicious, but is super quick and easy to make. 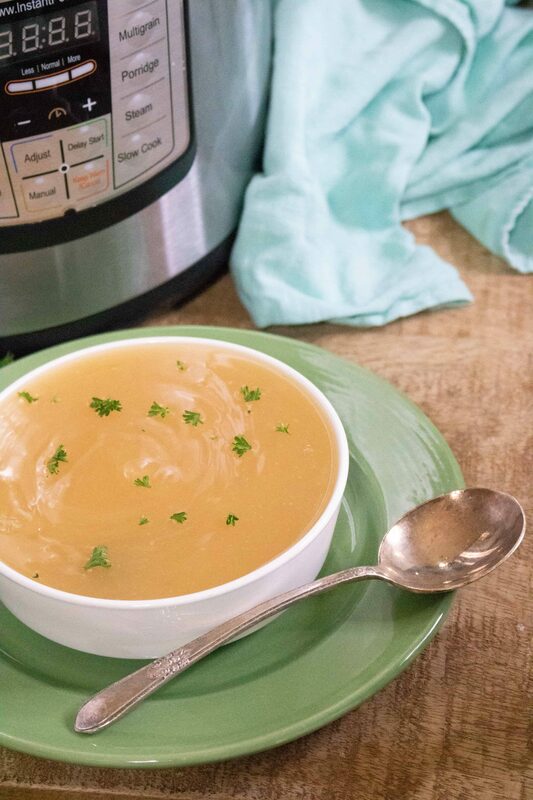 Because you are making this tasty turkey gravy in the Instant Pot, you will not only save time, but you will also free up precious stovetop space. And let’s face it, that is something that always seems to be in short supply when preparing your Thanksgiving meal. If you’re really looking to save time (and oven space) this Thanksgiving, then check out my post about making Instant Pot Turkey. Yes, it’s true: you can cook an entire turkey in the Instant Pot. And the best part? It will be ready in less than 1 hour! And once it’s done, you can whip up this Instant Pot Turkey gravy in just a couple of minutes. 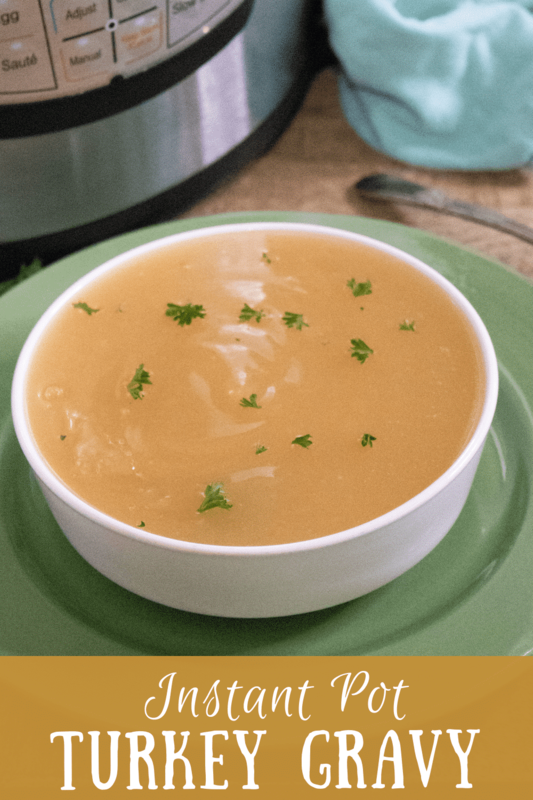 With the dynamic duo of Instant Pot Turkey and Instant Pot Turkey Gravy, you are well on your way to preparing the fastest and easiest Thanksgiving ever! First, cook pan juices on sauté mode for 2-3 minutes, allowing to come to a boil. Then mix together cornstarch and cold water in a small bowl, until cornstarch has dissolved. Pour mixture in the Instant Pot and whisk into the pan juices. Next, add salt and pepper to taste, whisk again, and then pour into serving bowl or gravy boat. Instant Pot Turkey Gravy is delicious and quick and easy to make! Cook pan juices on sauté mode for 2-3 minutes, allowing to come to a boil. Mix together cornstarch and cold water in a small bowl until the cornstarch is dissolved, then whisk into the pan juices. 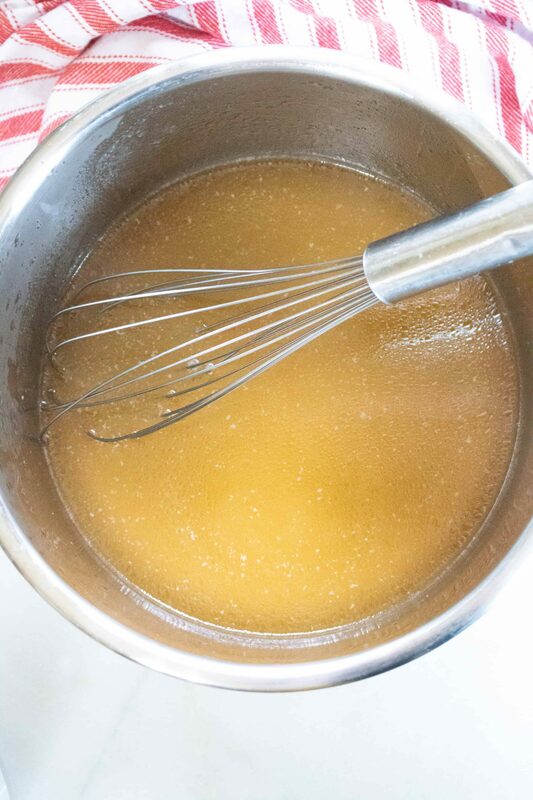 Add salt and pepper, whisk again, and then pour into a serving bowl or gravy boat.